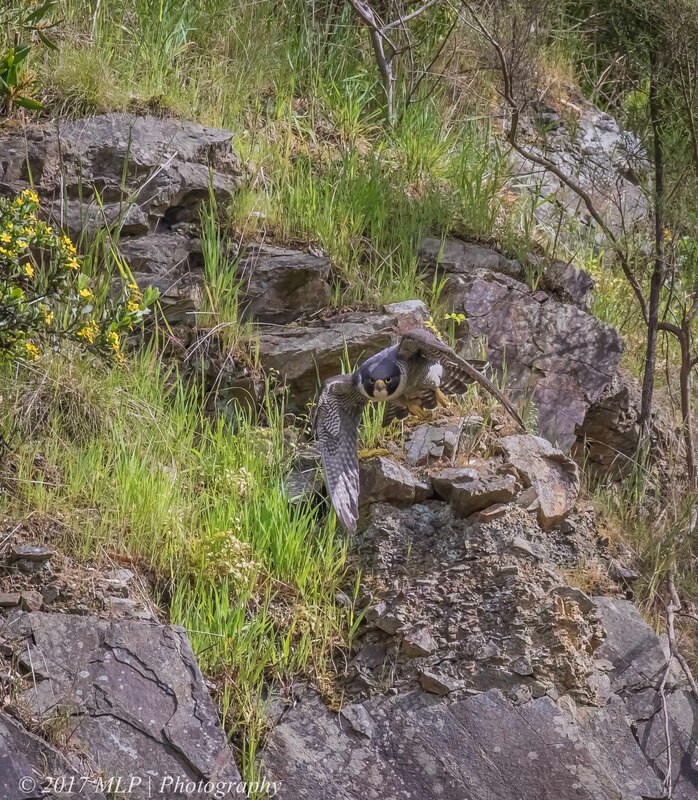 With every visit to Moorooduc Quarry in Mt Eliza, I expect to find the pair of Peregrine Falcons that have been calling the quarry home for years. It may take a little bit of time to dig out the falcons from the cliff faces or the over hanging trees but I am rarely disappointed. I find my own roost spot and just wait and keeping watching the cliffs and trees. 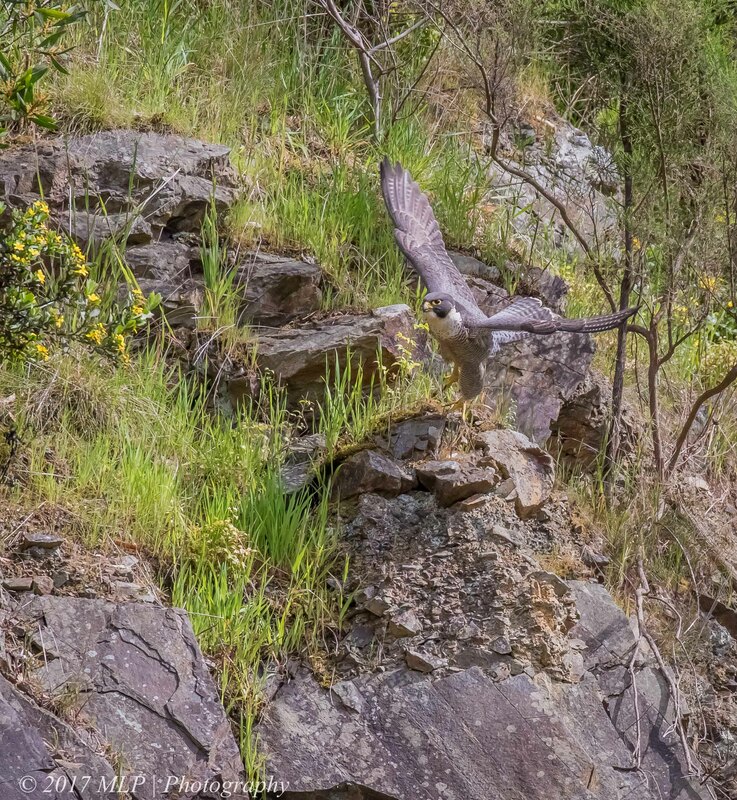 On this occasion I thought I would not have the time to wait but as I was turning to go I saw a bit of movement on one of the cliffs and found the Falcon (below) as it was about to launch itself into the quarry. The Peregrines colouring is very effective for blending into the blue stone cliffs. 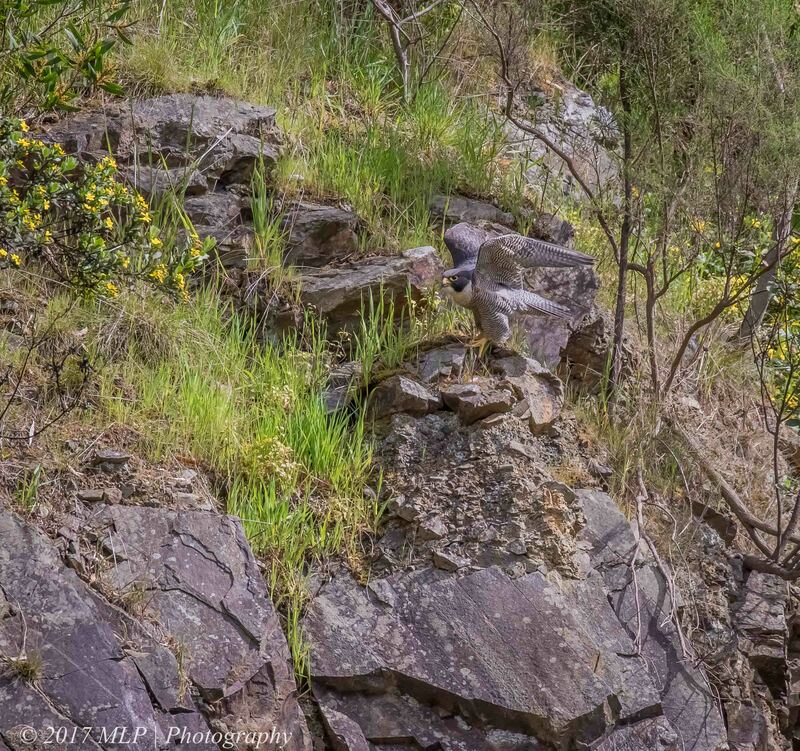 This entry was posted in Birds, Victoria and tagged Australia, Australian Birds, Bird Photography, Moorooduc Quarry Flora and Fauna Reserve, Nature Photography, Peregrine Falcon, Photography, Victoria. Bookmark the permalink. Magnificent shots Malt, would have loved to have seen that take off, what a beautiful specimen. 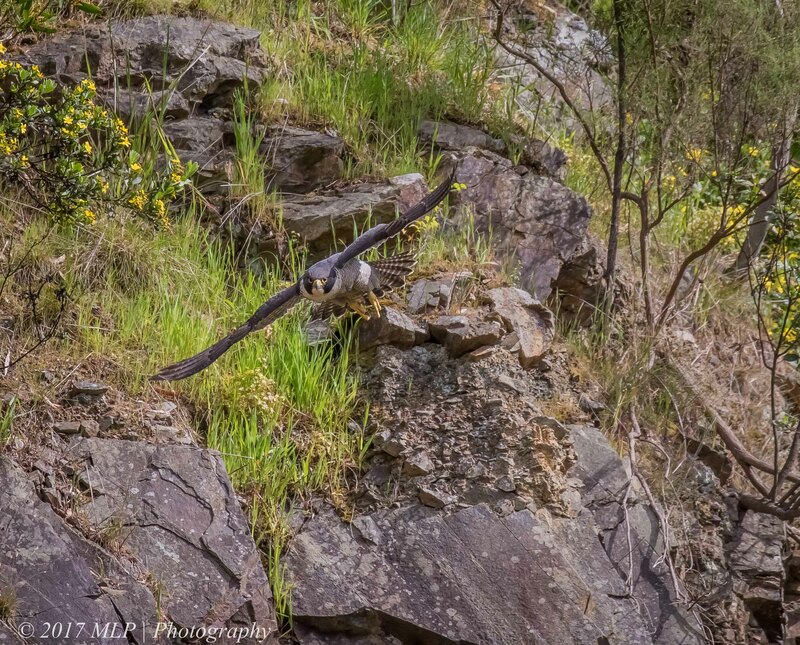 Loved these shots of the Peregrine Falcon Matt! Great sequence too.